Shopfront UI provides specialist frontend design & build services for UX consultancies, digital agencies and enterprises. We fill the gap between wireframe and delivery, with our solutions designed and built by experienced professionals with proven track records. 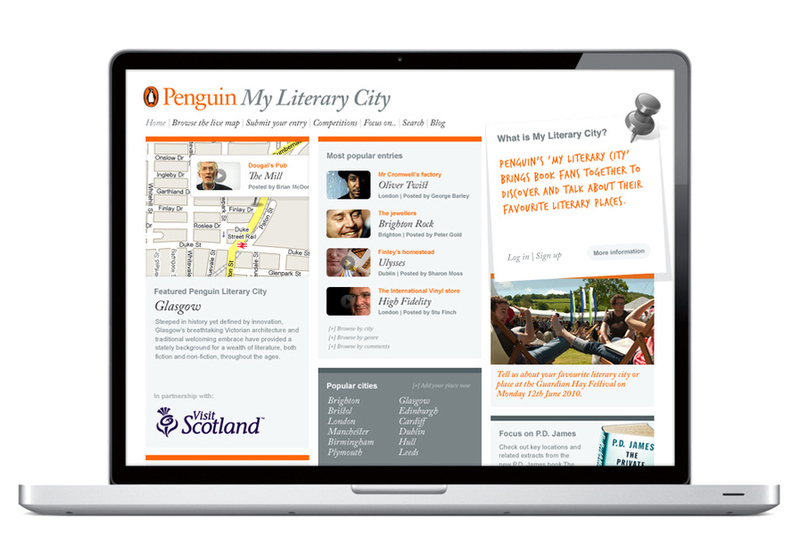 We’ve designed & built frontends for a wide range of clients – everyone from the BBC to Penguin Books. Current clients who have chosen to put their trust in us include a reknowned global clothing retailer and one of the UK’s most-respected UX agencies. Whether you’re looking for a white label supplier or a strategic partner, get in touch – we’re friendly and knowledgeable people who hit the ground running. This is an example of the work we do with agencies and direct clients - creative direction, interface design and CSS/HTML production. For more info, and to see more examples of our work, please see the Shopfront UI site.